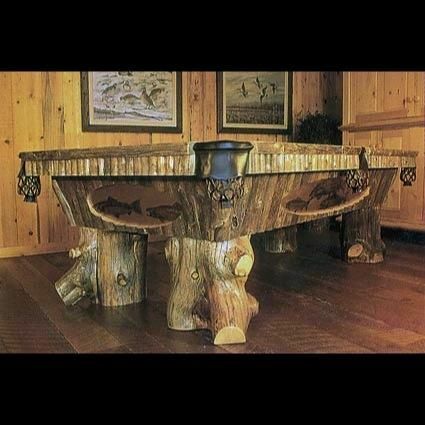 Our Teton pool table with art has legs made from massive weathered logs with matching vertical aprons. Side and end ovals feature copper plates etched with one of our designs or a custom design featuring whatever motif you desire. Shown is the Wilderness style.